Piggy, appropriately named for her portly size, is really my son, Matt's cat. Matt is a semi-viral You-Tuber, who features Piggy in some of his uploads. Fans of all ages became enamored of her, and to "give back" to her fans and my son's, I decided to write adventures for her. Piggy's books, though whimsical and fun, also have morals and a heartfelt theme of friendship and camaraderie throughout. The first volume finds Piggy trapped in her master's claw machine, and with the help of her miniscule friend, Melvin, making plans to escape. Volume 2 has Piggy and Melvin adventuring outside their home, with Piggy's curiosity to "take flight" getting the better of her. Each of these books shows the value of true friendship as she helps her neighbor dog, Rolf with situations, showing the differences between dogs and cats isn't so bad after all. 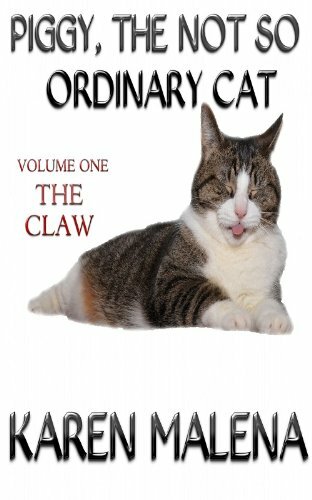 Buy Piggy, The Not So Ordinary Cat - Volume 1 - The Claw from Amazon. 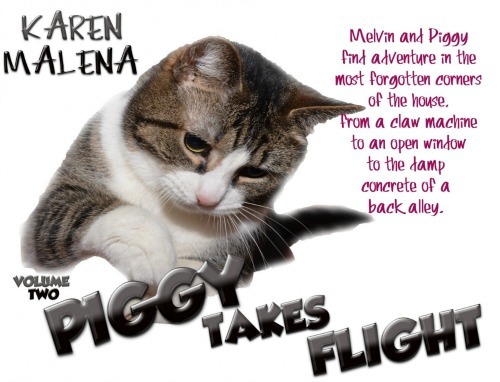 Buy Piggy, The Not So Ordinary Cat - Volume 2 - Piggy Takes Flight from Amazon. 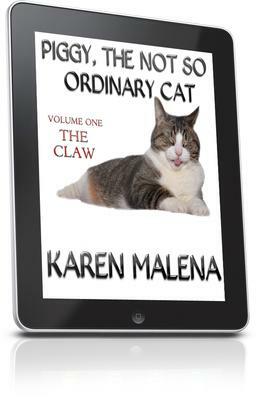 I'd like to thank Kurt, the administrator of this wonderful site on all things kitty cat for sharing my books about Piggy! There appears to be many, many cat lovers like myself. I own two cats, Bella and Rocco, litter mates and rescue cats. My son is the owner of the famous Piggy!